In a time before computers people played D&D on tables, with maps, cards and sheets of paper to write on. 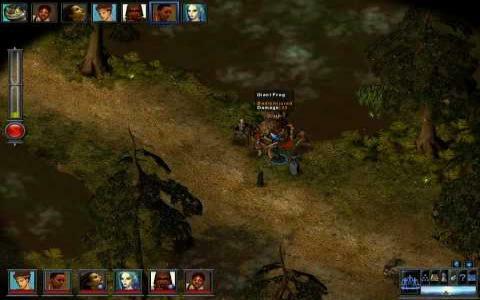 Although it is now ancient history, set of rules devised in those games remained, and is the basis for all modern RPG games (well, not all, but most of those set in middle age fantasy worlds - Baldur's Gate for example).Troika studios, famous for their RPG games brought us another entangling game set in AD&D world. Story is immersive although somewhat generic, characters are extremely vivid and well thought of and the gameplay is great. 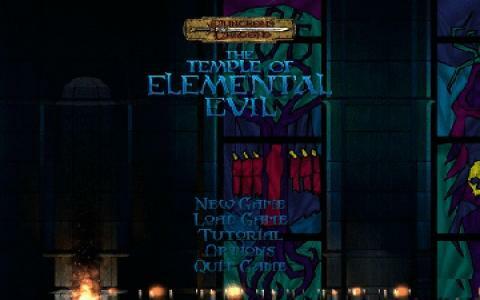 Originally a table D&D game Temple of Elemental Evil was revived as dungeon-crawling PC game. Expect tons of engaging NPC characters with humorous dialogues, gazillion quests and side quests, in short, everything RPG should be. Developers put every effort in maintaining original world and characters, and succeeded for most part. There are some bugs and glitches along the way, but nothing that would cause crashes or freezing. Graphics and sound, needles to say, are perfect so the experience of a true D&D adventure is complete. If you are a fan of D&D worlds try this game, you will love it!